How to Set Up Accelerated Mobile Pages [AMP] in WordPress? 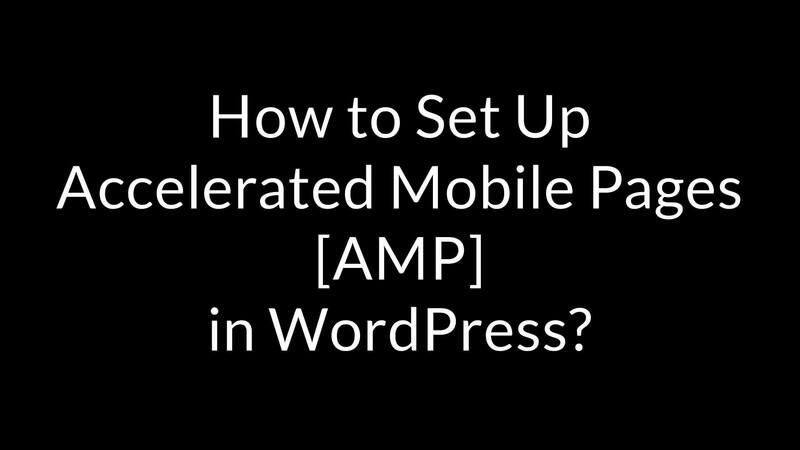 How to Set Up Accelerated Mobile Pages [AMP] in WordPress: AMP aka Accelerated Mobile Pages is the latest technology, which many Bloggers, Web Developers hear in their daily but many of them are Unaware, not clear with the concept of AMP and How to Implement AMP in WordPress. In order to help all of them, I am writing a detailed guide on How to Install AMP in WordPress, How to Set up Accelerated Mobile Pages in AMP and How to Fix AMP errors in Search Console. What is Accelerated Mobile Pages / AMP ? Accelerated Mobile Pages is an Open Source project which is being encouraged by Big companies such as Google, Microsoft and many other. As we all know, people are migrating from Desktops, Laptops to Mobile Phones, especially for smartphones. 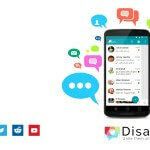 The number of Mobile Users are growing day by day, and the number of Desktop users are declining day by day. So every Internet Marketer concerned about Mobile Users. To satisfy the needs of Mobile users, we have to take WorldWideWeb to the next levels. Many mobile devices run on Slow internet connections depending on their SIM Card Network connectivity. No mobile user wait 10-15 seconds till the page gets loaded. As per a survey conducted by Search Engine Gaint Google, If your website doesn’t load within 3 seconds, then the user leaves your website without seeing/reading anything on your website. This will greatly affect your business. So to make things easier, to Make Web pages appear faster, All big giants came up with this Open Source Project named Accelerated Mobile Pages, i.e., AMP. WordPress one of the world’s largest and widely used Content Management System. 27% of the website over the Internet are in WordPress. If you are also a WordPress user if you want to implement AMP in your WordPress website, here’s a quick guide for you. If you get any doubts, if you need any help you can contact me anytime. Using a WordPress plugin, you can implement AMP on your WordPress website. It’s a very well known thing for everyone. You can ask me, which AMP plugin is best in WordPress. Undoubtedly it is AMP for WP – Accelerated Mobile Pages. As a proud user of AMP for WP plugin user, I am giving my honest feedback on this plugin. I am using this plugin for more than 3 months, and I am very much happy with this plugin. I properly configured this plugin. Because of this plugin, Accelerated Mobile Pages working properly on my website. You can see the AMP version of my website by visiting the URL https://techtrickspoint.com/amp, or even you can manually add /amp at the end of every post URL. Even you can see, my website shows AMP bolt symbol in search results. Note: This Appears only when AMP plugin properly configured on your website. You shouldn’t have any Critical Errors in Search Console. Then only your AMP version of your website gets served in Google Search Results when accessed through a mobile phone. you can see 0 AMP errors in my website Search Console. After using it for 3 months, after getting satisfied results, I am sharing my views on AMP and how Accelerated Mobile Pages helped me to improve revenue on my website. However, I am not going to share anything about my Revenues. I am here to help people to implement properly on their WordPress website. Install AMP by Automattic, which is an official AMP plugin developed by the developers of WordPress. Then download AMP for WP – Accelerated Mobile Pages, which is one of the best AMP plugins in the market. Install and Activate the both plugins. 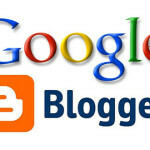 By installing and activating both the plugins will make your website AMP compatible. Many people get errors even after properly installing AMP on their WordPress website. There are hundreds of reasons behind those errors. There are certain guidelines which we have to follow in order to implement AMP in websites. Then only your website served as Accelerated Mobile Pages in Google Search Results. There are uncountable advantages of installing AMP in WordPress. Below, I will list the how AMP benefited me and my niche websites. Fast loading in Mobile. If your website has most of the traffic from mobile, then you must implement AMP in your website. 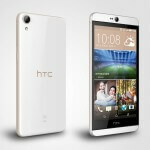 This will give best user experience to your mobile visitors. Any post in AMP loads quickly within 3 seconds even if the user is on low internet connection, i.e., 2G or any other. If you properly monetize your AMP website, this will generate more revenue than your normal site. Personally tested on one of my Micro Niche sites. Content on your website doesn’t disappear. Being a blogger, my website goes down several times due to several reasons. However, after implementing AMP, this won’t happen. Even if your website is down due to some technical reasons, your content will be served through Google Cache, which means even if due to technical reasons your website goes down, users can find whatever they wanted on your website. A slight increment in Search Engine Rankings. Honestly, I don’t want to argue on this topic. Let me explain this thing in a common way. Loading speed is always a Ranking Factor. If your website loads faster than other websites, then it will automatically boost rankings of your website. There are many other advantages of implementing AMP on your website. 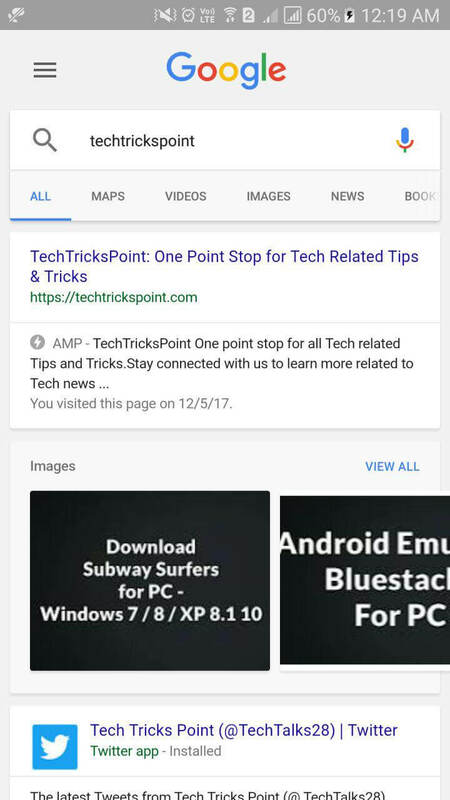 Below You can see many News Websites implementing AMP in their websites to give best user experience to every mobile visitor. Even Google loves to serve Fast loading websites to the visitors. So are you planning to implement AMP on your website? That’s really great news. I wish you all the very best. Need Help in setting up AMP? Need Help in Fixing Search Console Errors? Well, I am always there to help my visitors. You can hire me to Set Up AMP on your website, you can hire me to Fix errors in your Search Console. If you have any questions, if you have any corrections or suggestions for us, feel free to comment below.